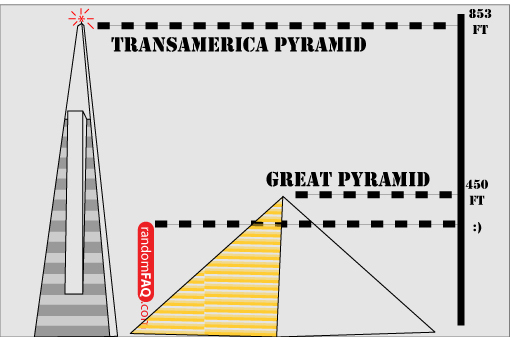 The Transamerica Pyramid has stolen the thunder of world's tallest pyramid. The original pyramids of Egypt could not have been built in the same shape of the modern pyramid because of the limited tools and material of the time (i.e. steel, cranes). The timelessness of the Egyptian pyramids lies in its solid and maximum surface area foundation.